HAS THERE ever been a more difficult Six Nations to call? 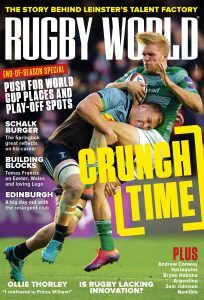 The March issue of Rugby World reflects the hopes and fears of each of the contenders, with Stuart Barnes setting the scene and sticking his neck out with his predicted finishing order. We have exclusive interviews with two men at the helm, fly-halves Freddie Michalak (France) and Dan Biggar (Wales), go down the farm with Irish powerhouse Sean O’Brien, and get to know one of the game’s great characters, England prop Alex Corbisiero. New Scotland coach Scott Johnson outlines his philosophy while we also meet one of the championship’s most consistent performers, Italy flanker Alessandro Zanni. England coach Stuart Lancaster, ex-Scotland fly-half Craig Chalmers and Welshman Dan Lydiate, last year’s Player of the Tournament, are our columnists, and there are Spotlights on Billy Twelvetrees, Ryan Grant, Conor Murray and Jonathan Davies. Elsewhere, Stephen Jones gives his verdict on the Women’s Six Nations, Lions coach Warren Gatland fields readers’ questions, and we preview the Super Rugby campaign that kicks off in February. Plus, be sure to catch part two of Save Your Season, in which we team up with Gatorade to help a struggling amateur side. There’s a whole lot more in our March issue, so don’t miss it. 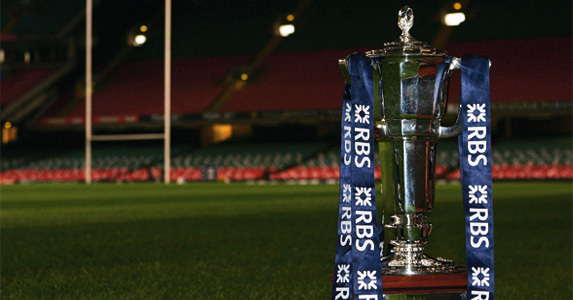 WIN RBS 6 Nations tickets! Save Your Season – Three Kettering players get a scientific going-over and what does the Opta analysis show?